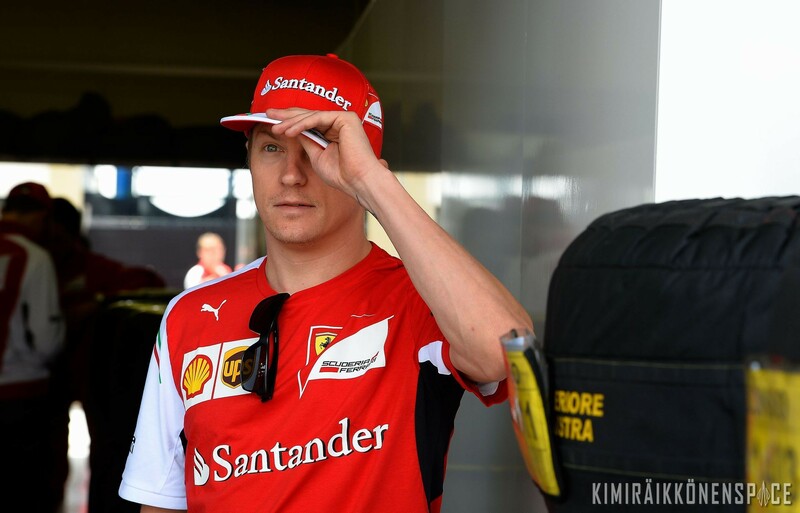 Q: Kimi, can you sum up your 2014 season with Ferrari, the team with whom you previously won the world title? Was it the homecoming you had hoped for? Kimi Raikkonen: Obviously – and everybody can see this – it hasn’t been an all too good season for me – and not for the team either. As Ferrari you expect to be at the front – and it hasn’t been the case. It’s been hard – but that’s the way it sometimes goes. Q: But at least you like the colour red? KR: Ha, yes, I’ve made the right choice to come here if that is what you mean. Sometimes you have a difficult year, but I am sure that Ferrari can turn it around next season. KR: …I wasn’t here so you’d have to ask somebody who was here to get an answer as to why. I am here this year – and it didn’t go well – but for the future we do have the right people and a good team, so things will turn around. Q: So is it still a good feeling having your name in the Ferrari history books as their last world champion? KR: Yes, sure. It is better [to have] one here than five with another team. It is the right place to be and even if 2014 was not so good, it is still Ferrari! Q: There has been a lot of talk about Felipe Massa’s quote that Fernando has ‘out-psyched’ you. Is it possible to out-psyche Kimi Raikkonen? KR: Everybody has his opinion and Felipe can say what he wants. It’s just been a bad season. That’s it. No ‘psyching’ or whatever… just a bad season. Q: Right now Ferrari reportedly have three drivers with valid contracts for 2015 – three heavyweight drivers. Does this mean Ferrari will be the first team to do car sharing? KR: Ask Ferrari what is going to happen. I won’t say anything about the situation. Q: Are you sure that you will be racing next season? One hundred percent sure? KR: Yes, I am sure. And what is one hundred percent sure here? Nothing. Q: The 2014 changes had quite an impact on the drivers. Everyone remembers your famous words of ‘leave me alone’ on the team radio at Lotus. Is such an approach still possible today when the pit wall is an integral part of the cockpit? KR: Ah, in reality it is not so much different than before 2014. Yes, the cars are different and my guess is that it was pretty difficult for teams to build these new cars – and here things didn’t quite go as well as we had hoped. That is the main difference. Q: But could you utter those words this season and still have a good race, given all the information you need from the pit wall? KR: The tyres are pretty much the same issue they’ve always been, but yes, it’s been trickier this year. We’ve always talked on the radio, so there is not too much difference. Q: So do you like the 2014 changes? KR: It is different, yes – and whether you like them or not doesn’t make any difference. These are the rules and you have to swallow it. Racing hasn’t changed much – the sound is different. Q: What do you Ferrari have up their sleeves in order to do better in 2015? KR: They have hired new people. Maybe they made some mistakes when they started to design the 2014 car and maybe they haven’t got the best out of the rules, but we have plenty of good people who are able to turn things around. We will get there again. Unfortunately not in 2014. KR: Until something is announced I am not interesting in talking about possible team mates. He is a good, straightforward guy. KR: He is the best out of any of the drivers. I know him the most. But as to what is happening in terms of driver line-up, you won’t get any answers from me. Q: There are still two races to go. Can these races reconcile you with 2014? KR: For sure not. It’s been a difficult year – but I will do my best in the last two races. KR: A reasonably good race would be nice. If we get a podium it would be nice. Q: So are you expecting your first podium of 2014 at one of the last two races? KR: Not expecting, but it would be nice!